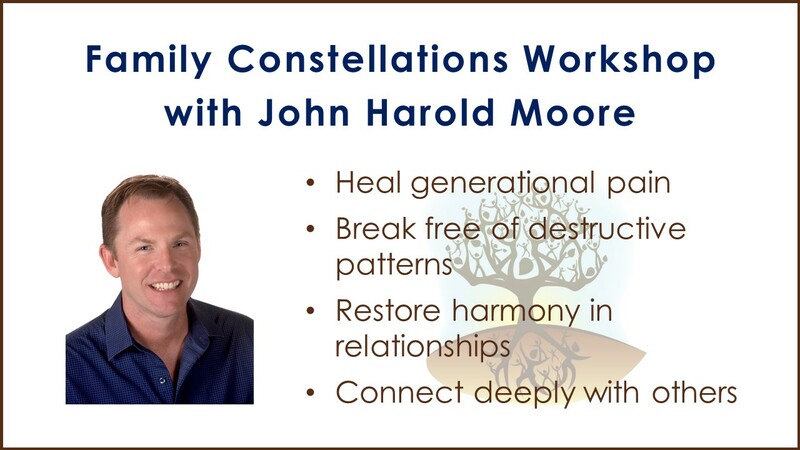 The Family Constellations Workshop we had in September was such a phenomenal success, John Harold Moore has agreed to bring it back to HeartSpace. It will be from 1-4:30 pm on Saturday Feb. 23. (If you can’t make this one, he’ll be back on May 4, Aug. 10 and Nov. 16. Each is a stand-alone event and you can attend one or all.) You can sign up on the sheet at the front door, on our Facebook Event page or on our website. Family Constellations is an experiential workshop to gain insights and new perspectives about your own family dynamics and discover what might be holding you back from reaching your highest potential. Once we see the bigger picture and where the energy is stuck, we put things back in place and let the energy start moving again. The results can be life-changing. This workshop is being offered on a sliding scale of $30-50. Whatever you contribute will be greatly appreciated. John Harold Moore is a Life Coach, Family Constellations Facilitator, Speaker, A Course in Miracles Teacher, and graduate of the Family Constellations Institute of Miami. Find him on the web at JohnHaroldMoore.com. If you'd like to be contacted, what method is best?